A perfect wedding day accompaniment to the Cannelé wedding ring, pictured with 0.33ct centres these earrings are as intricate as they are mesmerising with a diamond or gemstone heart and halo surround set to absolute perfection. Designed in France, inspired by Gallic romance, the earrings are a beautifully romantic wedding day keepsake, or an everyday way to express your true sparkle and shine. 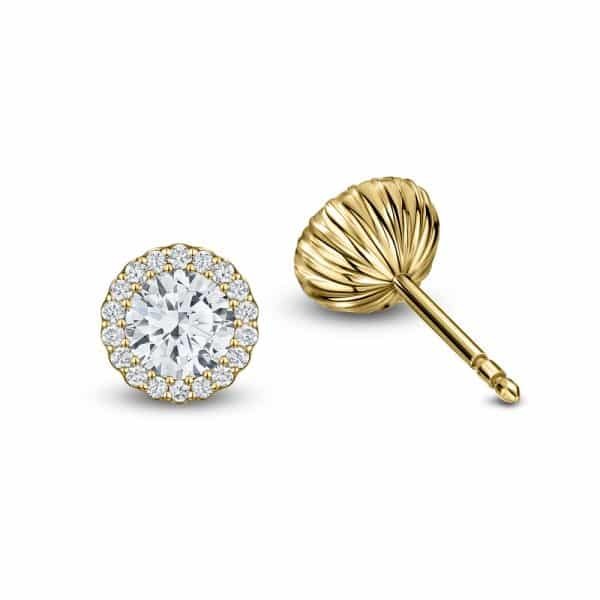 A superb twinning of G VS diamonds and precious metals. Pictured with 2 x 0.33ct.